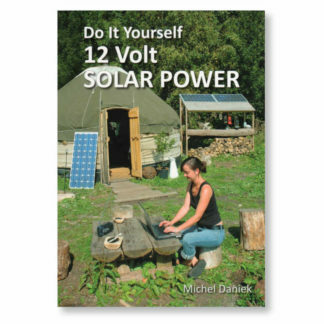 This 592 page manual shows how Australians can downshift and retrofit their homes, gardens, communities and, above all, themselves to be more self-organised, sustainable and resilient into an uncertain future. It promises a challenging but exciting mix of satisfying work, a more meaningful way of living and hope for the next generation. RetroSuburbia is divided into three main sections: the Built, the Biological and the Behavioural along with the introductory section ‘Setting the scene’. For wholesale sales visit the Melliodora website. Available in the UK from Ragmans or in the USA from our US Store. 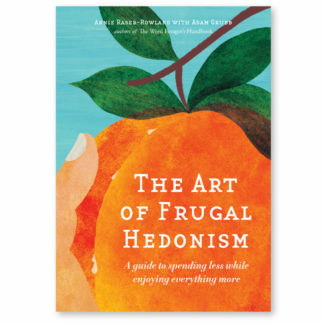 The first section explores the big-picture issues, concepts and thinking tools that David thinks are useful in creative household level responses to the challenges of the coming years and decades. Key challenges and retrosuburban responses outlines the connections between the personal and global challenges of the near future and how suburbia might a good place to survive and thrive in challenging futures. It also introduces some of the thinking tools, such as permaculture and pattern languages, to help retrofit suburbia one household at a time. 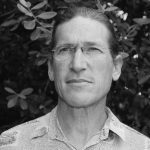 The Built Field covers the recurring patterns and design solutions relevant to retrofitting detached houses and the other physical systems that support suburban households. This is an obvious starting point for many who want to make their place a better long-term prospect. The possibilities for retrofitting the Biological Field are many and varied. 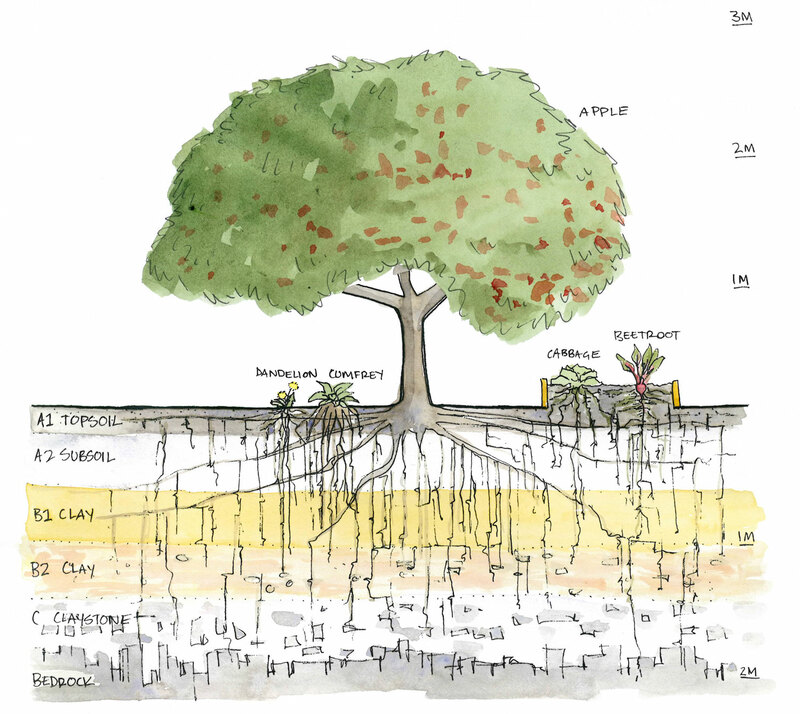 Every residential block has soil with a history of use and/or abuse, established plantings, some of which may produce food, and a wider ecological context of sunshine, water, wind, vegetation and wildlife that influence the site. 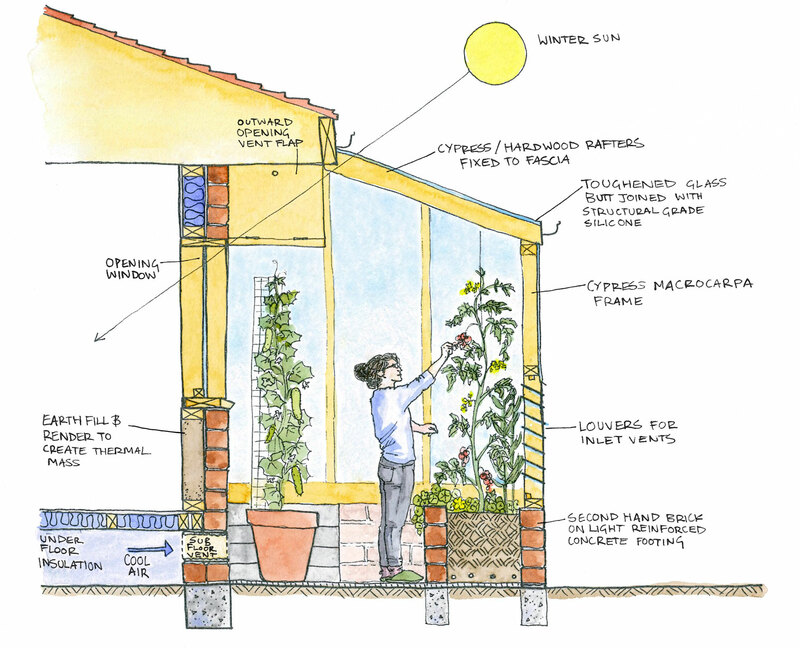 This section introduces recurring patterns and proven design solutions for abundant garden farming in suburbia. 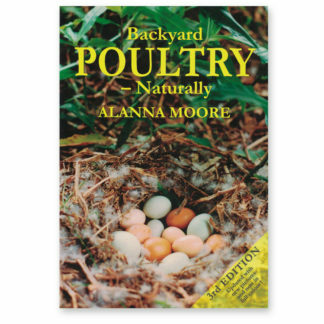 It doesn’t tell you how to raise seedlings or graft a tree but it will help you select and design the best growing systems for vegetables and fruit trees, along with guidelines on what to grow to make best use of what space you have without moving to a rural property. 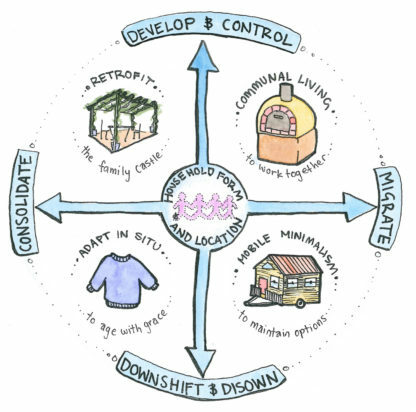 The Behavioural Field includes everything about how we live in the Built and Biological Fields, from our most unconscious actions through to complex collective organisation that extends from the household out into the wider community and economy. 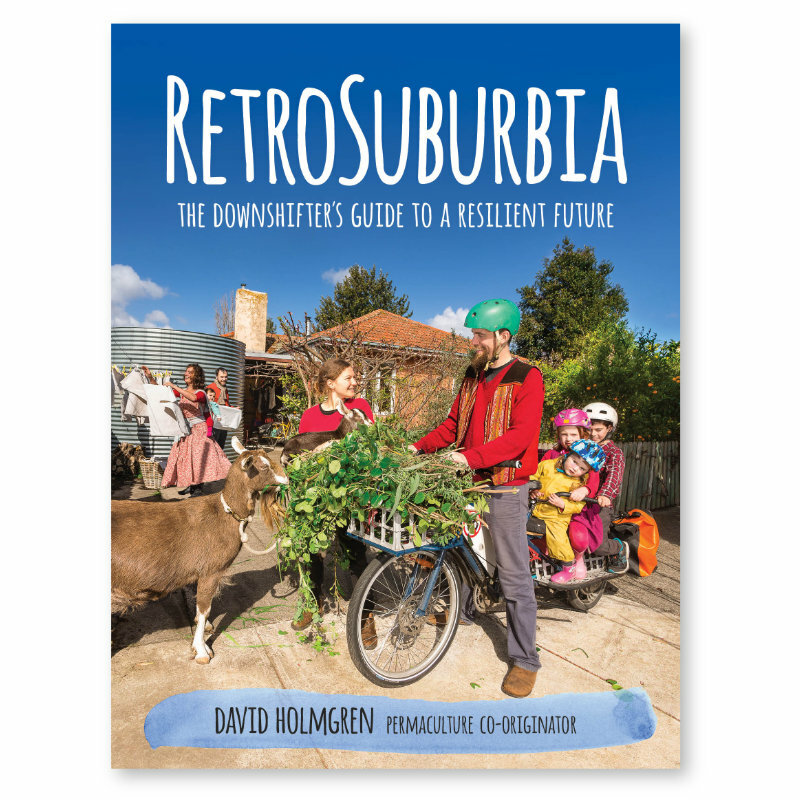 In every chapter David has tried to provide a strategic overview, practical tips and encouragement to collaborate in bringing retrosuburbia to life – and making it the new normal in your household, street and neighbourhood. Even when we can’t change the building, the season or the people we live with, we can always change how we see and experience life for the better.